Veggiesome: How to clean mushrooms? Cleaning mushrooms is a very important task unlike other vegetables. You will often find stubborn dirt on the mushrooms which cannot be removed with normal washing with water. Here is a pictorial of how to clean mushrooms. 1. 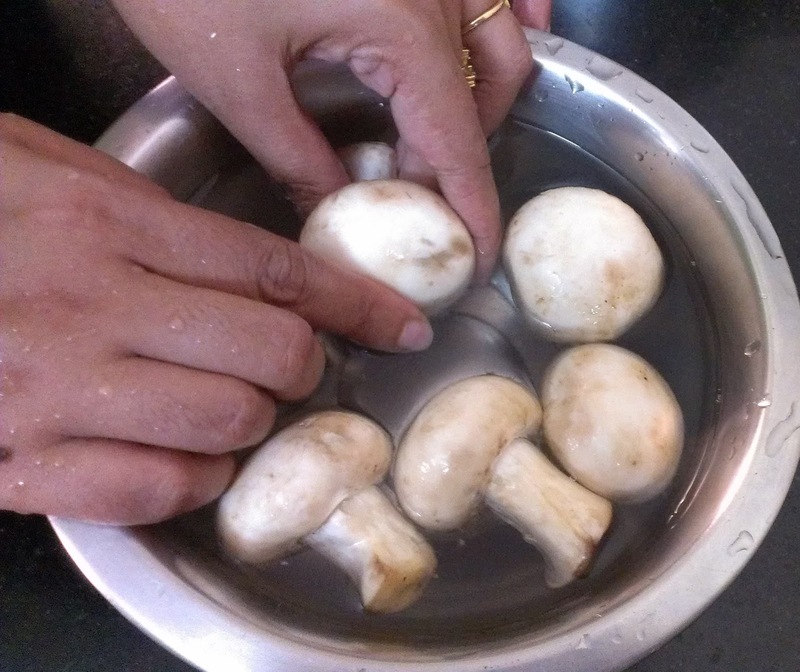 Wash the mushrooms individually under running tap water or in a bowl of water to remove any dirt. Do not soak them in water for too long. 2. 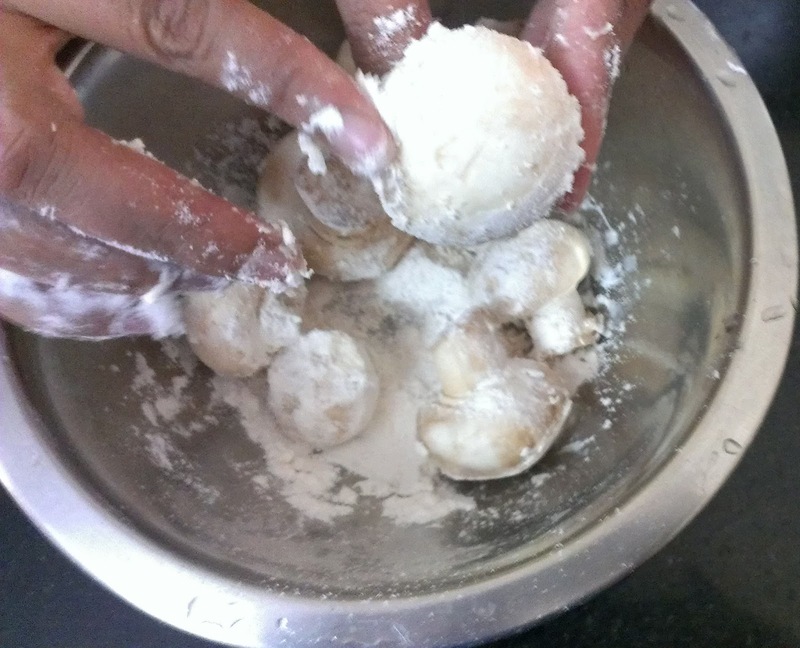 Add maida or corn flour to the mushrooms and clean as given below. 3. Wash off excess maida/corn flour from the mushrooms and drain excess water.